Before you can apply for a loan in Canada, you must first qualify. Here’s what you must have in order to qualify for a personal loan in Canada. No matter what the need is – a car breaking down, paying a mortgage, educational expenses, etc. – personal loans are there to help support millions of Canadians in their times of financial need. To that end, the average Canadian carries roughly $20,000 in their loan portfolio. If you’re a Canadian citizen that needs cash to get you through upcoming expenses, you’ve probably considered personal loans in the past but may have a lot of questions. What is a personal loan? How can I qualify for a personal loan in Canada? How much money can I get? To help answer all of your Canadian personal loan oriented questions, our team has put together this article. Our goal is to give you an overview of personal loans and help you understand what you need to qualify for a personal loan in Canada. A personal loan is typically a short-term loan in which borrowers approach lending institutions for money. Lenders then, depending on a variety of factors, either approve or deny a borrower’s request. If approved, borrowers can use their loan money to fund their expenses and pay back borrowed money per a pre-determined payment schedule. 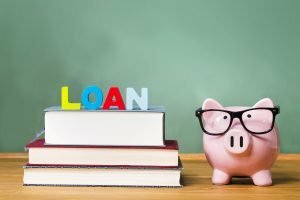 What Types of Personal Loans Are There? Personal loans come in a variety of shapes and sizes. Exact loan types will vary from lender to lender but below is a brief description of two categories your personal loan product will fall into. Secured personal loans require that borrowers give lenders some form of collateral in order for lenders to loan them money. If the borrower does not pay back their loan adherent to its pay schedule, lenders have the right to keep borrower’s collateral to recoup their losses. Common collateral types include but are not limited to car titles, home titles, stocks, bonds and recreational vehicles. Secured loans are typically less favorable than unsecured loans for borrowers. They are offered to people whose credit is poor given that the collateral acts as an extra level of security for lenders. Unsecured personal loans are loans you should strive for. They allow borrowers to get money from lenders without needing to offer any sort of assurance in the way of collateral. These loans are attainable by borrowers who have good credit ratings. What do I Need to Get a Personal Loan in Canada? If you’re looking to get a personal loan in Canada, there are a few base requirements you should be aware of which we will itemize below. 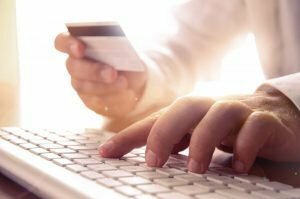 In order to obtain a loan product, you’ll need to be sure that you have your Canadian ID as well as a utility bill or mail addressed to your current address. This will prove that you are who you say you are and that you’re residing at the address on your application. Most lenders will want to verify that you have income to pay back your loan. This reduces the risk of them lending to somebody who has no intention or means to fulfill their side of the loan obligation. Some lenders may take it a step further and ask for proof in regard to your monthly expenditures (house, car, etc.). This will help them determine whether or not your income can sustain your expenses and your loan payments. Your credit score is perhaps the most important aspect of any personal loan Canada decision. It tells lenders in an easy to understand way what the risk involved in lending to you is. If you have a low credit score, you may not qualify for unsecured loan products or perhaps no loan products at all. Don’t get discouraged from seeking out lenders if you have poor credit though. There are loans that are specifically designed as “personal loans for bad credit” which give a broader range of access to borrowers. If your credit is good, you will almost certainly have no trouble securing loans. Our recommendation is, if you know you have excellent credit, to shop around for loan products at as many lenders as possible. Make sure you’re getting pristine terms and conditions. This final qualify for a personal loan in Canada factor is specifically for people with poor or no credit history. Many lenders will require that you either bring collateral to the table or if you have no collateral to offer, have a co-signer take out the loan with you. A co-signer is a person with good credit who gives permission to be liable for your loan should you default on your payments. What Happens If You Default on Your Personal Loan Payments? Closing our personal loan discussion is the topic of repercussions for defaulting on payments. If you either choose to or are unable to pay back your personal loan, a few things could happen. To start, your credit score will almost certainly drop. This could cause you problems getting loans in the future, getting approved for certain apartment’s tenancy, and more. Learn how to take the complexity out of borrowing money. Also, if your loan was secured, your collateral will be repossessed by your lender. Finally, you may find that your loan sum will grow exponentially due to interest and fees if you’re delinquent on payments for a long time. Then, if legal in your jurisdiction, your debt may be sold to a collection agency who may harass you until you settle what you owe. If you’re trying to qualify for a personal loan in Canada, we recommend you first get acquainted with what a personal loan is by reviewing and re-reviewing the information above. Once you feel comfortable with what you’re getting into, to qualify, be sure that you have your ID, proof of address, a credit score and if needed, a co-signer or collateral to receive your personal loan product! Want to know more about everything on saving money, making lucrative investments, getting out of debt and more? If so, check out more content from our experts on The Fortunate Investor today!